This power reclining sofa will bring you the comfort that you've been searching for. It features generous padding throughout with power adjustable headrests and extended chaise footrests. Nail head trim along the arms adds a traditional accent that is sometimes hard to find on reclining furniture. This piece is available in a select number of upholstery options and has a USB port built into each of its power mechanisms. The Marquee Leather Match Power Reclining Sofa with Extended Footrests by Bassett at Crowley Furniture & Mattress in the Kansas City Area: Liberty and Lee's Summit, MO & Overland Park, KS area. Product availability may vary. Contact us for the most current availability on this product. 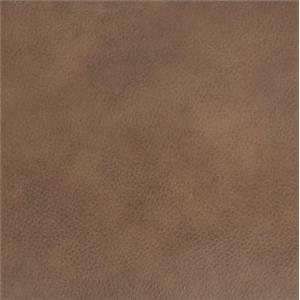 Fabric Options Items in this collection are available in 15 leathers and 5 fabric options. Recliner Mechanism Leggett & Platt motions mechanisms rated at 400 lbs. Padding & Ergonomics High density/high resilience seat cushions, foam padded arms, reinforced seat boxes, padded sides and backs. Warranty Frame: Lifetime. Springs: Lifetime. Cushion: 3 years. Mechanism: Lifetime. Fabric/Leather: 1 year. This power reclining furniture collection will bring your entertainment room to the next level. Each piece features top-grain leather on their seat cushions with a matching vinyl covering on the outside of their arms and back. Their power recline mechanism not only allows you to lay back at the touch of a button; it includes power headrest operation and a built-in USB port too for even more comfort and convenience. The Marquee collection is a great option if you are looking for Traditional furniture in the Kansas City Area: Liberty and Lee's Summit, MO & Overland Park, KS area. Browse other items in the Marquee collection from Crowley Furniture & Mattress in the Kansas City Area: Liberty and Lee's Summit, MO & Overland Park, KS area.